I’m here today to share one of my FAVORITE back to school activities with you: Friend Wanted Ads! 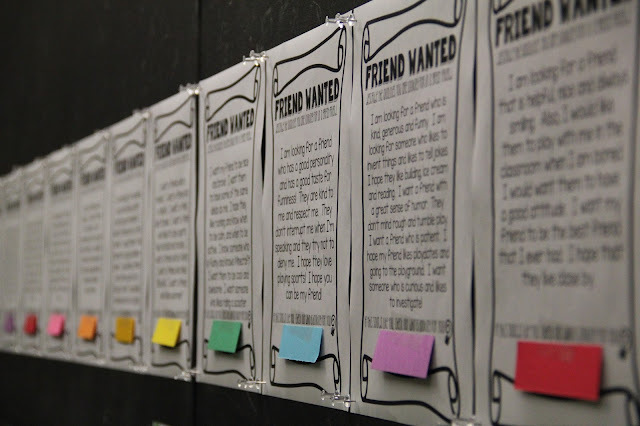 This activity is perfect for helping students build new relationships at the beginning of the year. The anonymity boosts confidence and allows students to approach new friendships without judgment! 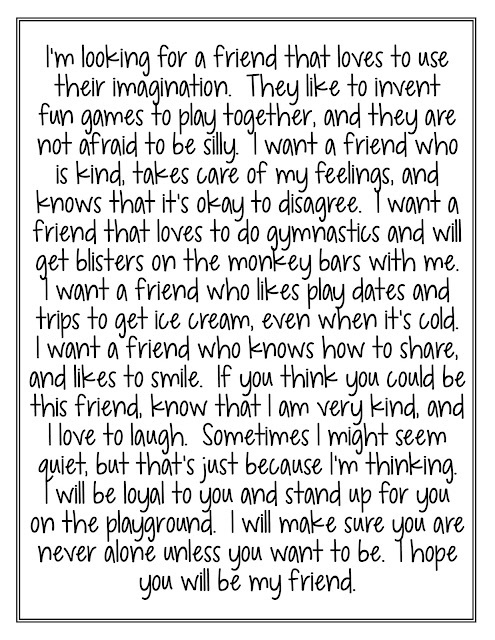 Essentially, at the beginning of the school year, students write an advertisement sharing the qualities they look for in a friend. This not only helps them think deeply about what they are searching for in a good friend, but what they, in turn, can offer their friend in that relationship. I like to introduce this activity with a “friendship warm up.” We come together at meeting and I start with the question, “What is friendship?” I write their responses down on chart paper (structured like the table above) so that we can refer back to it throughout our discussion, and throughout the year. I then move on to the next three questions, allowing for 4 or 5 responses to each question. Once we have laid the foundation for our conversation, I can begin to introduce the friendship advertisements. At this point my students usually look at each other with a confused face… you gotta love getting that look from your WHOLE class! I assure them it will be okay, because I have an example to share with them. When I’m finished, you can see that the little light bulbs went off, and they have a solid understanding of what is being asked of them. I make sure to answer a few lingering questions, and I set them off to writing! When they have all finished, and they all feel confident in their ads, I type them out. I do this so that it is TRULY anonymous (you know some handwriting is a dead giveaway!) Then, I cover each name with a colorful piece of cardstock and tape it ONLY at the top. This creates a little flap that allows the name to be unveiled. That way, when I post all of these beautiful advertisements to my bulletin board, students can read the ads, and lift the flaps of any that seem like a potential friend and find out who it is! Exciting right? This is truly one of my all time favorite activities… and sometimes I get upset that it’s over by the second week of school. I’m still working on ways to reinvent it throughout the year, so I welcome any ideas! 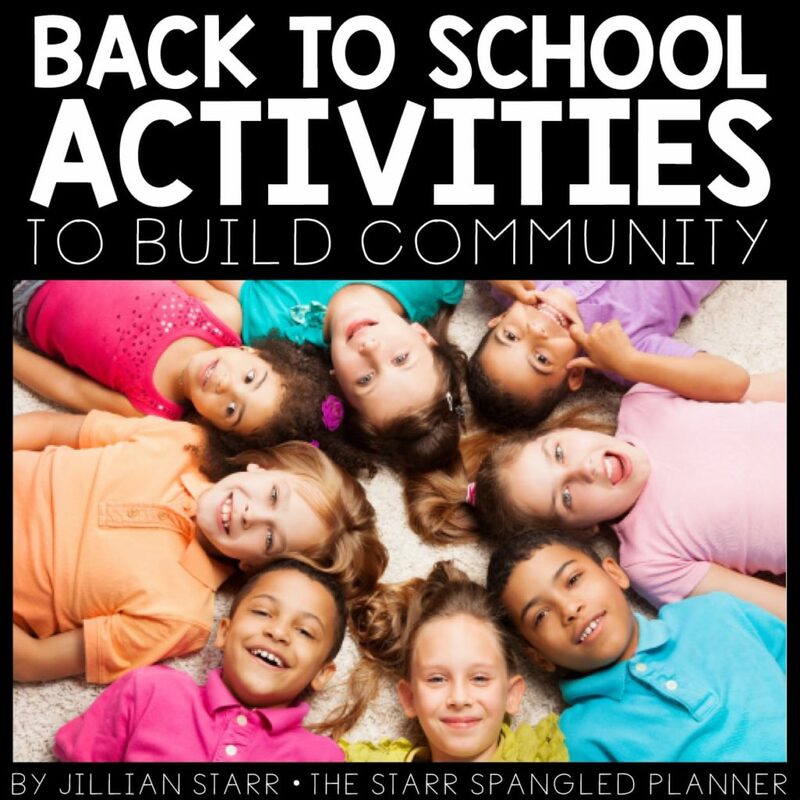 You can find more BTS ideas in my post 10 Back To School Activities that Build Community! 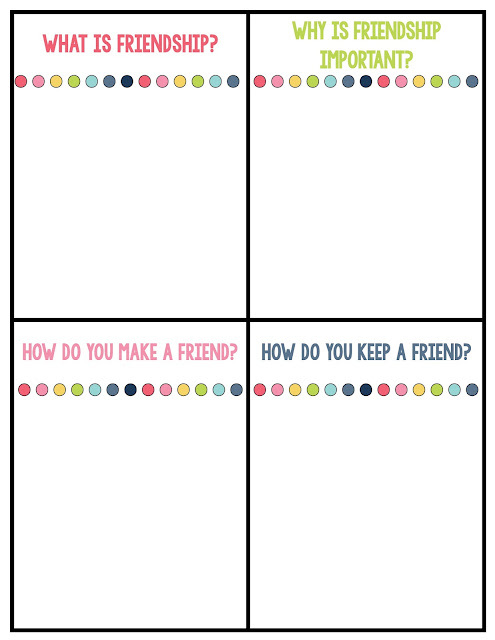 You can also grab this editable template along with some of my other favorite BTS activities HERE! 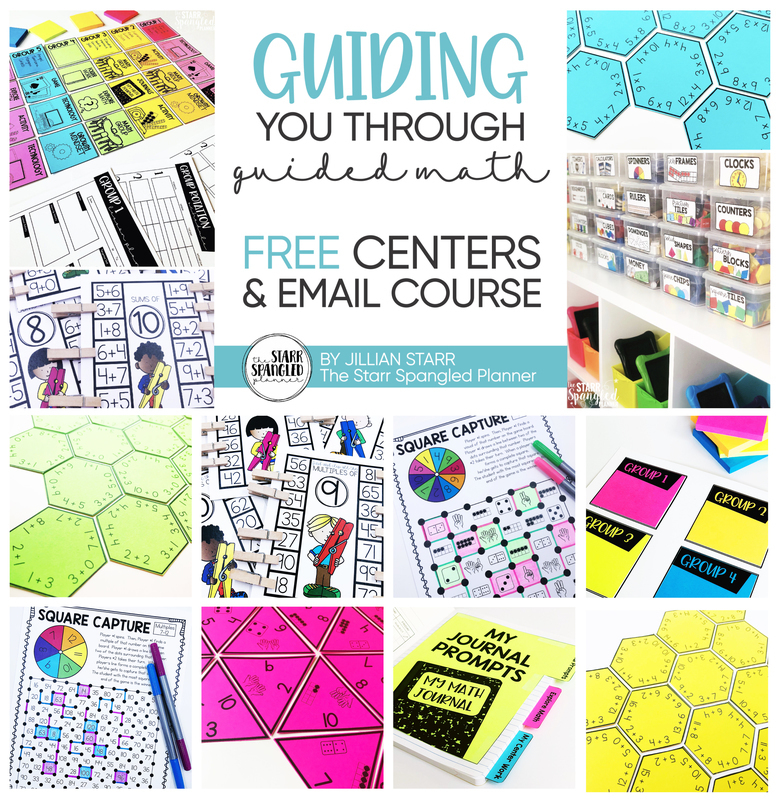 I hope you and your kiddos enjoy this activity as much as we do! I absolutely love this! 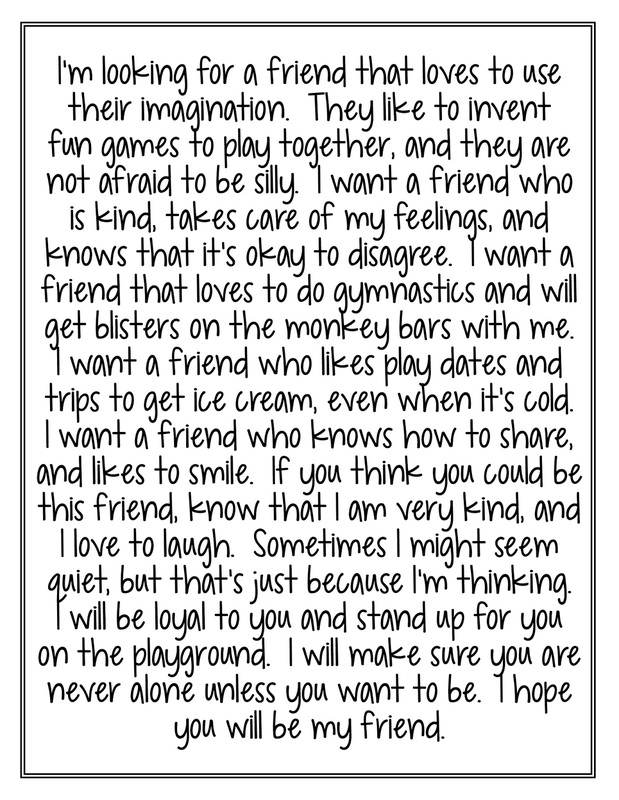 Believe it or not, I want to use this with my 7th graders…I think it would help them break out of their comfort zones a little and consider making friends with people outside their circles. (And, of course, I will make them type it themselves!) Would you be so kind as to share the template you used for the WANTED posters? Thank you SO much for the awesome community-building BTS activity! I love this too! I cannot wait to use this with my fifth graders. Is it possible to get the template as well? Jillian, thank you for this amazing idea! I hope to use this at the start of fifth grade for my class. Is it possible to get the template you used? I’d love a template. Cute writing prompt! Can’t wait to use this with my sixth graders. Do you have a template for this? I would love to use it with my 5th graders this year. Love this idea! I would love to do this the first week of school with my fifth graders. Can I please get the template? Love this idea, setting a positive atmosphere from the get-go. Could you also send me the template you use? I plan to use this with my fifth grade class this September. Thanks for the great idea. Hi Jillian! I used this activity last year and LOVED it. I also saved their hand-written drafts to hand back at the end of the year to see how much their writing had improved! I used to have the template, but now I can’t find it. Is there somewhere I can download it? Thanks for sharing such a fun activity! Did you have a template for this? Thanks! This is a wonderful, inventive writing idea! I love the sample ad you included!! Would you please advise where I might find the template (if it is available)? Thank you for sharing such a valuable idea!! That’s a really good idea. I’m going to do it in my school. It will be difficult at the beginning and I think everything will get better and better as time goes on. So glad I stumbled across this. What a great idea, I can’t wait to try it. Much stronger message about being a friend when it comes from the students and acknowledges and gives hope to those that feel friendless. I love this! I will be teaching 4th grade next year and this sounds like a great way to start year. Is there a template? Thank you for the great idea. Would you be willing to sell just the template for this activity as I don’t need all of the rest of what is in this bundle? Thank you in advance for your consideration. Love it! Perhaps it can be used longer than a week! 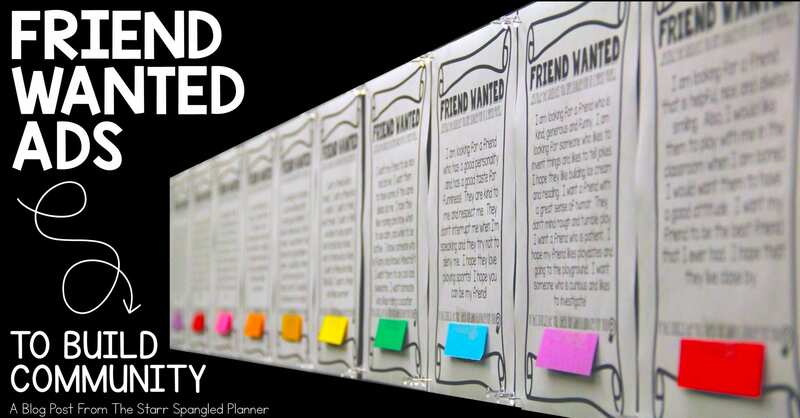 What if as they make a friend, they add a “FRIEND FOUND” post it with a new friend’s name. This way they can continue to add friends. Love it and cannot wait to use it!!!! Would you be so kind to share the template with me too? <3 You are appreciated!!! Jillian, I love this idea! I teach first graders and although this activity looks like it is geared for higher grades, I am going to interview each one and type it up for them. I hope to keep it simple. I love how you talk about making friends and keeping friends! Thank you! Hi Karen! I actually used this activity in first grade for 6 years 🙂 In some cases I had the students simply dictate what they were looking for in a friend, and I typed as they spoke. Then, once I had them all printed, we read a few aloud each day so that everyone could access them!